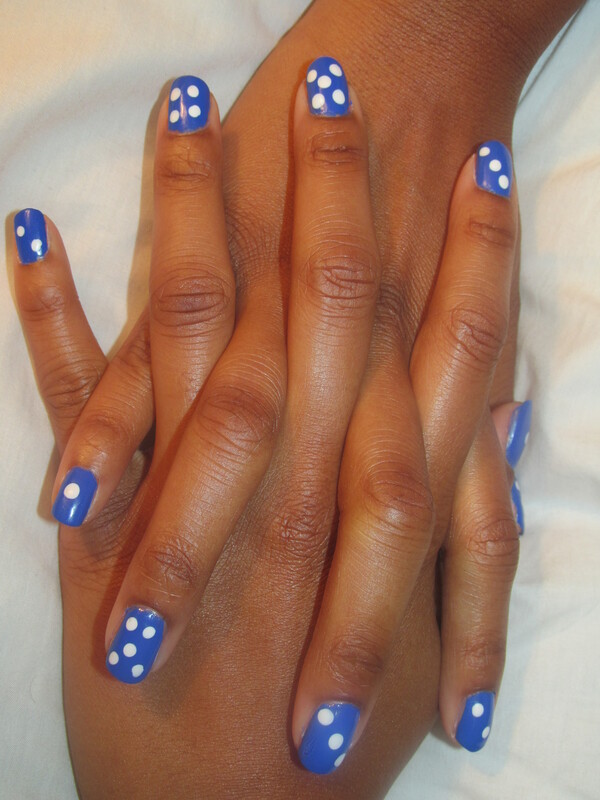 This weeks nails are a vibrant color…..with a fun twist! 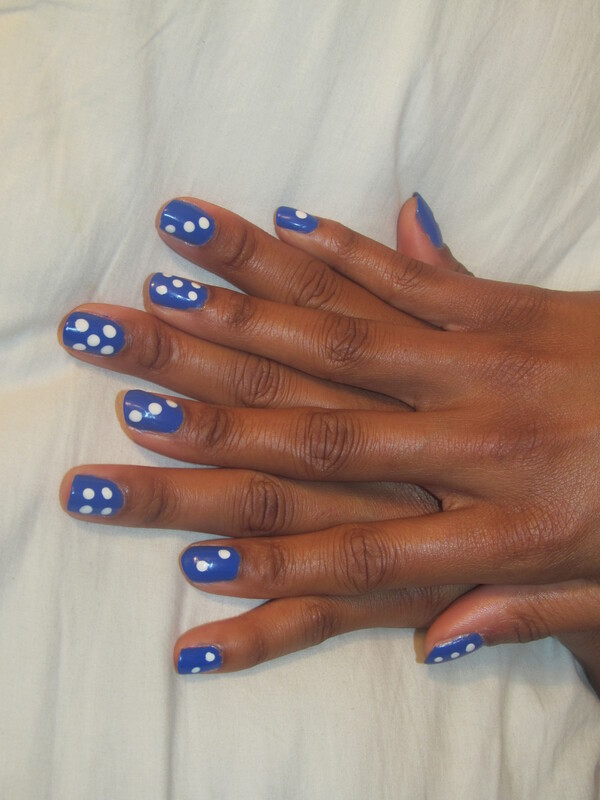 I decided to revisit ‘Butler Please’ by Essie even though I used it not so long ago. Its such a pretty color though I couldn’t help myself. 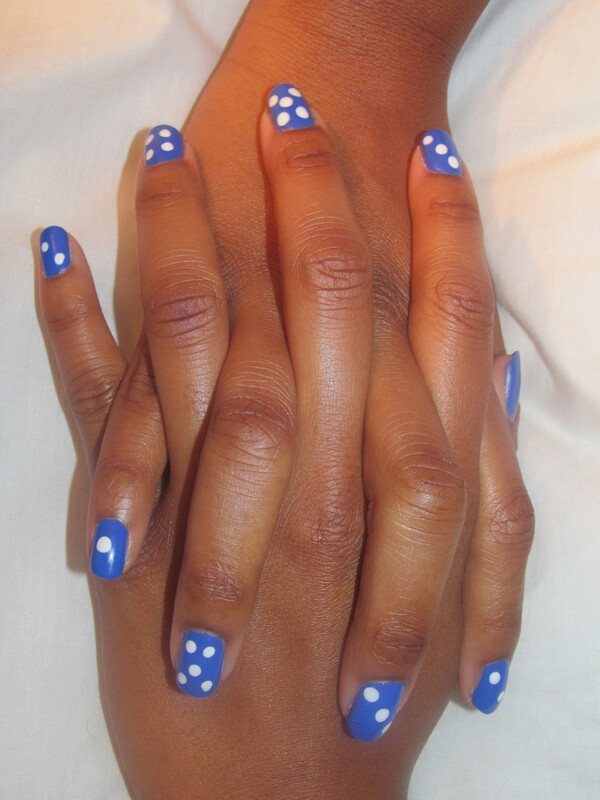 I wanted to try something a little different from the plain manicure though, so I opted to do a dotted design, in the form of dominoes. 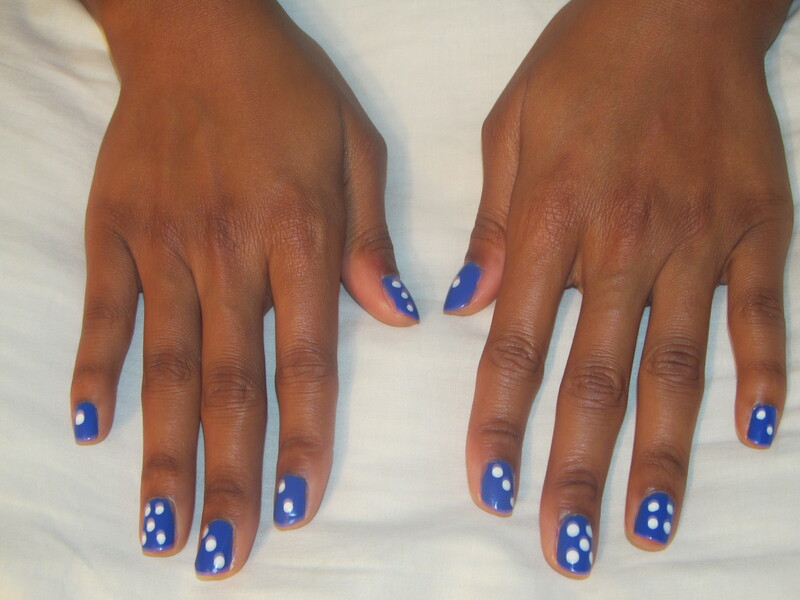 I know they aren’t anywhere near perfect, which kind of bothered me at first. As the night went on though, I realized I kinda liked them like this…the crooked imperfections gave them even more character. Needless to say, I love them now! 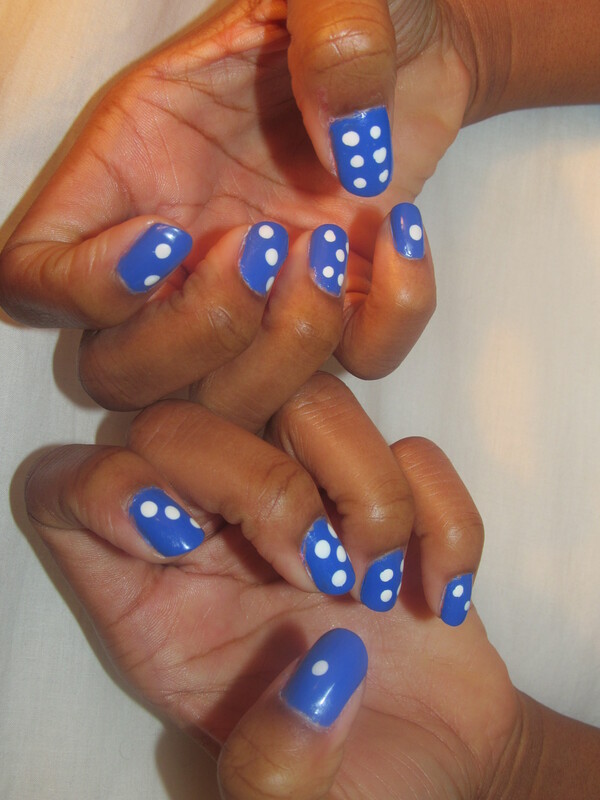 As stated before, the rich blue color is ‘Butler Please’ by Essie [purchased at Walmart]. 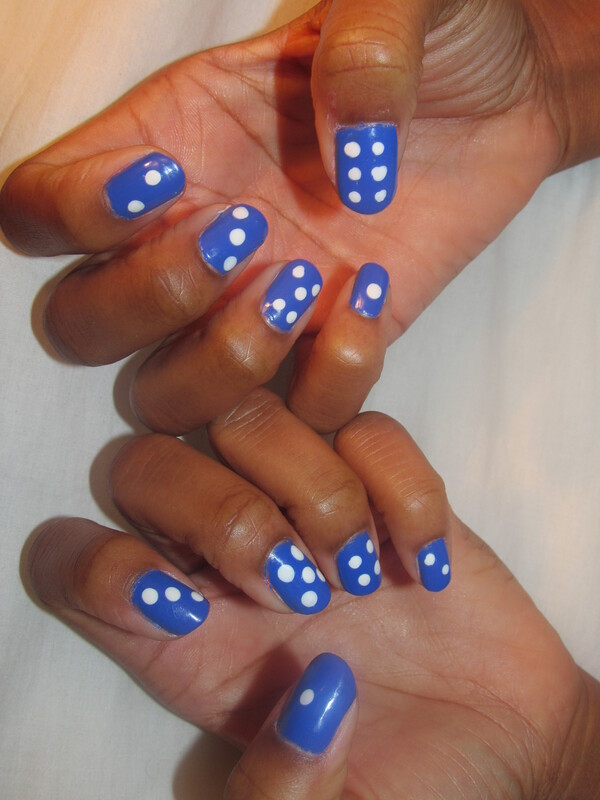 The white dots were achieved using a medium sized dotting tool and ‘Correction Tape’, a true white polish from Spoiled. 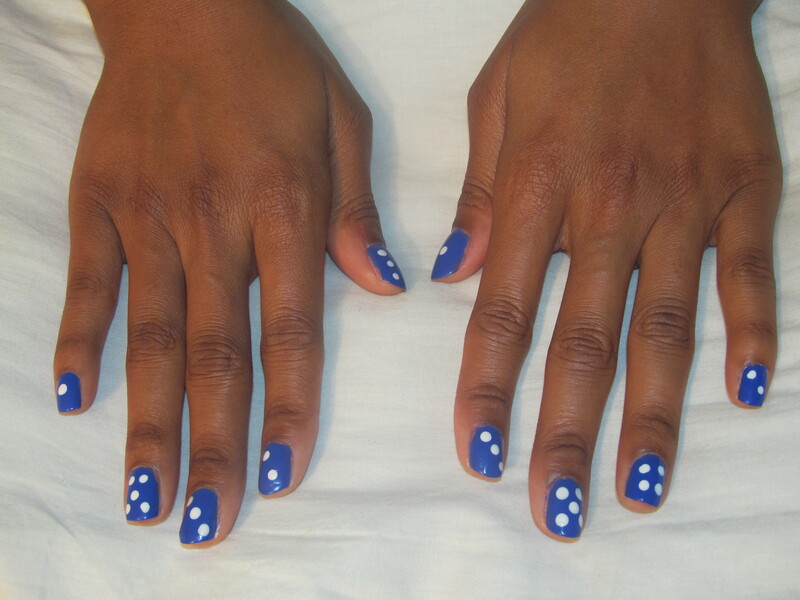 I’m learning more and more that my nails do not have to come out perfectly for me to enjoy them…I just need to do it! Try something new, experiment…and enjoy the process regardless of what comes out of it. 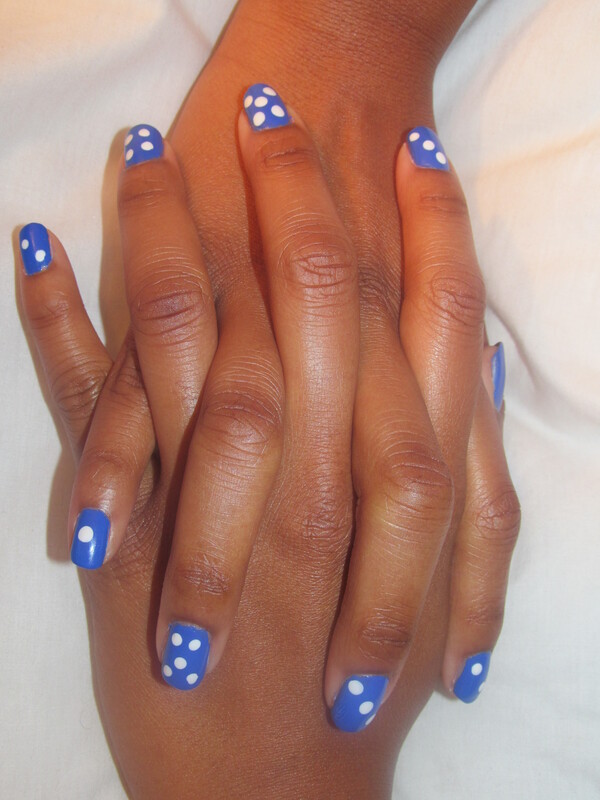 Do you all have any nail designs that you have been hesitating to try? Go for it! You never know what could come out of it until you attempt it. 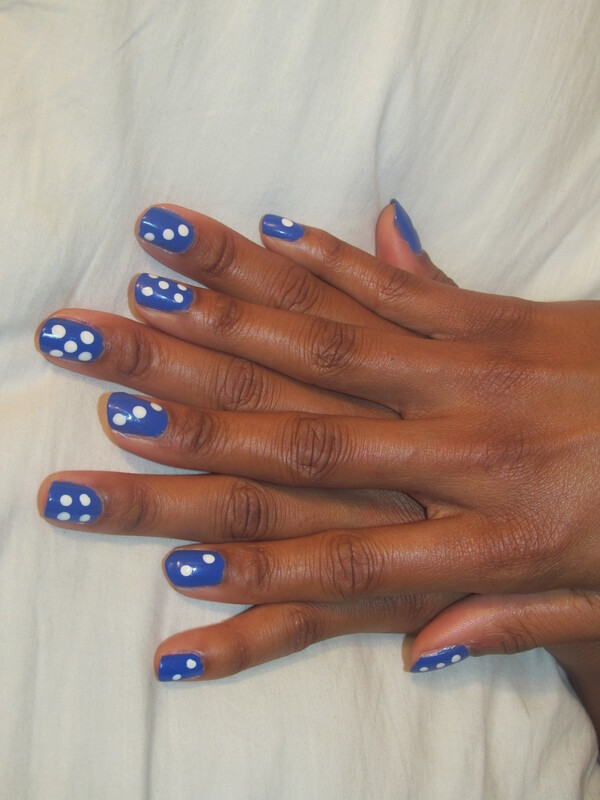 Next Post One year blogging anniversary!! + Giveaway! 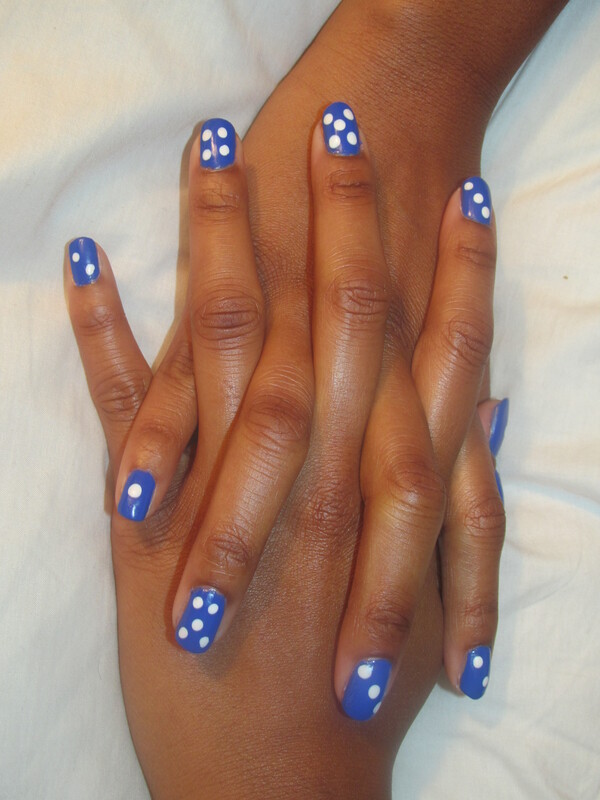 Love the blue and it looks super cute on your nails!